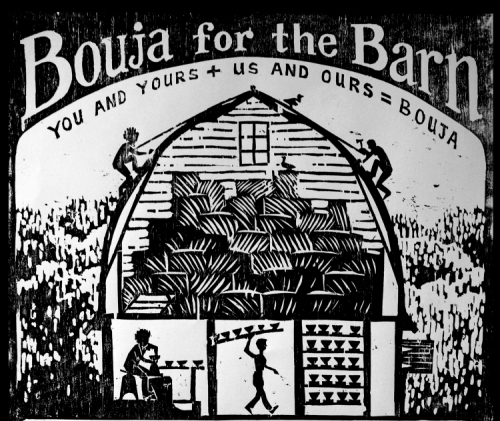 ach year, we’ve tried to depict in the image on the poster the next hurdle we need help with, or what the current Bouja is raising funds for. This next year we hope to put in the new floor, which includes drainage, plumbing, and an in-floor heat system. 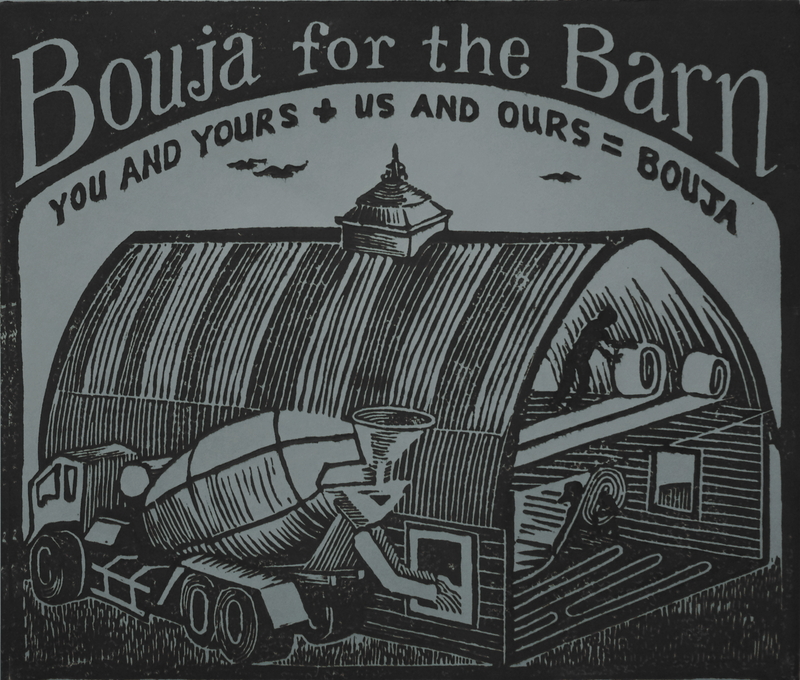 We have also tried to show the barn’s transformation through the bouja poster imagery. So the first year we were trying to get the barn > reroofed. And the second year we were trying to replace windows, redo the electrical coming to the barn, and maybe start making bricks for a kiln >. I didn’t get any bricks made this summer, but hope to install the windows I’ve been resurfacing throughout the main floor before winter. The new electrical consumed most of the Bouja funds from last fall, so it is a good thing that the new windows are costing me a lot of time, but not a lot of money.